usus est rerum omnium magister Julius Caesar is reported of having said once. 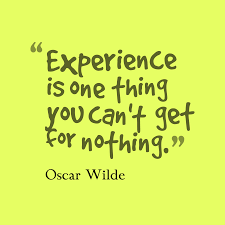 His wisdom, that experience is the teacher of all things, didn’t prevent him from being killed (I guess you make that ‘experience’ only once in a lifetime) but I think there is a lot of truth in these words when applied to most circumstances. I’ve been on a ‘career break’ for the past half year or so which means that, while I have not given up my job at the University of Limerick, I am not receiving a salary. A career break may be allowed for most purposes including further education, domestic responsibilities, travel abroad, employment abroad, starting a business. Pádraig had an incredibly intense day: getting out to his grand aunt’s funeral really early, mass, graveyard, get together and lunch. We spent time talking about her, our memories of long walks with her and her dogs, her love of Irish, her genuine interest in the lives of all the family, her kindness. We will miss her – the likes of her will never be with us again. In the afternoon Pádraig had one of the best swimming sessions he has had. He topped it all up with another long cycle in 2nd gear. He must be so proud to be able to do all this. And better every day. With the perseverance and experience of an athlete, experience you don’t get for nothing…!